Do you dream of making video games for a living? "I really wish I'd had this resource when I was starting out." The game industry is notoriously competitive. You need to be driven, skilled and connected in order to make it in. Hi, I'm Ben Serviss. Over my career I've worked on 24 game projects for 17 game companies, across every side of the industry. I've broken into each of the above sectors of the industry over a decade in games, and I've also been the one hiring. I know what works because I've lived it. 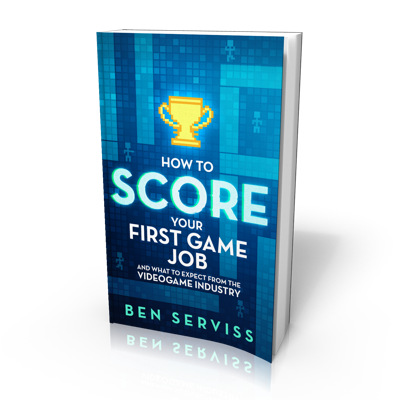 Whether you're in school or getting ready to change careers, I'll walk you through everything you'll need to know to make it in games. Aiming for a career in games is a long-term proposition. Before you get started, we'll clarify your motivation for getting into games, explore possible career paths, and get you informed about what you can expect. You'll learn how to strengthen your development skills, put together a killer portfolio, and make valuable connections. You'll also learn how game devs stay up-to-date in a rapidly changing industry. All game developers share a common core of experiences, and I'll walk you through how to get the most out of them. You'll learn how to tap into your local community, build games and put together a tight network at the Global Game Jam. You'll also get in-depth information on how to get the most value out of the biggest industry event of the year: the Game Developers Conference. Chapter 4: You're In - Now What? Getting your first job is just the beginning. In this chapter I'll tell you what you can expect from working in the game industry, how to level up your career, and how to stay on target even during periods of crisis. Don't just take my word for it - I've recruited 11 game developers who've worked at companies like Blizzard (World of Warcraft), Gearbox (Borderlands), Bethesda (Skyrim), Rockstar (Grand Theft Auto), Telltale (The Walking Dead), Rovio (Angry Birds) and Ubisoft (Assassin's Creed) to share their breaking-in stories to make sure you come away with a well-rounded picture of the game industry. Hi there, and thanks for making it this far! I got my start in games in 2004 as an intern on an online text-based game. Since then, I've worked on all sorts of different game projects across a ton of platforms, companies, genres and audiences. 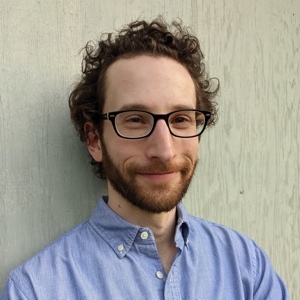 I'm fascinated by the different ways people make it into games, and I always try to pass on the benefit of my experience when I meet people earnestly trying to find a way to break in themselves. It took me years to learn what I've put down in this eBook. My hope is that it can be of use to you. If you want to see what else I've been up to, check out my personal site. I'm also on twitter at @benserviss if you'd like to get in touch.